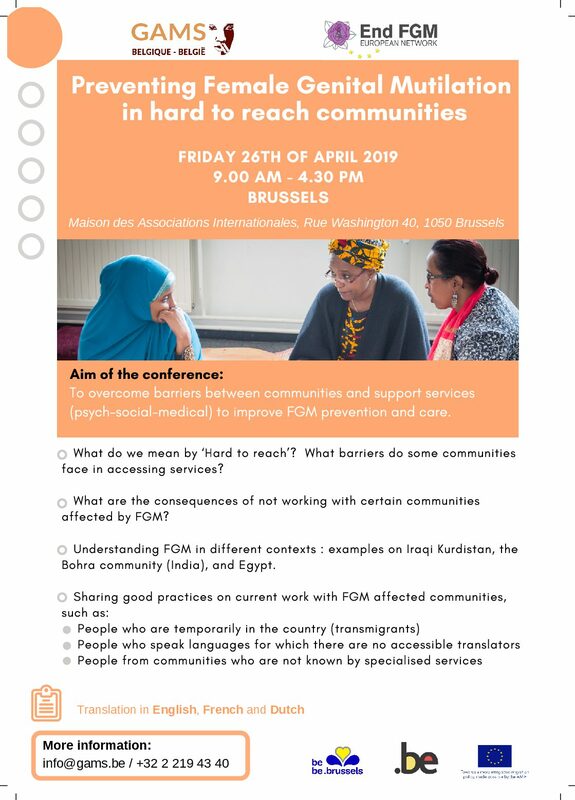 GAMS Belgium and The End FGM European Network would like to invite you to the European Conference on the topic “Preventing FGM in hard to reach communities” in Brussels on Friday the 26th of April 2019. 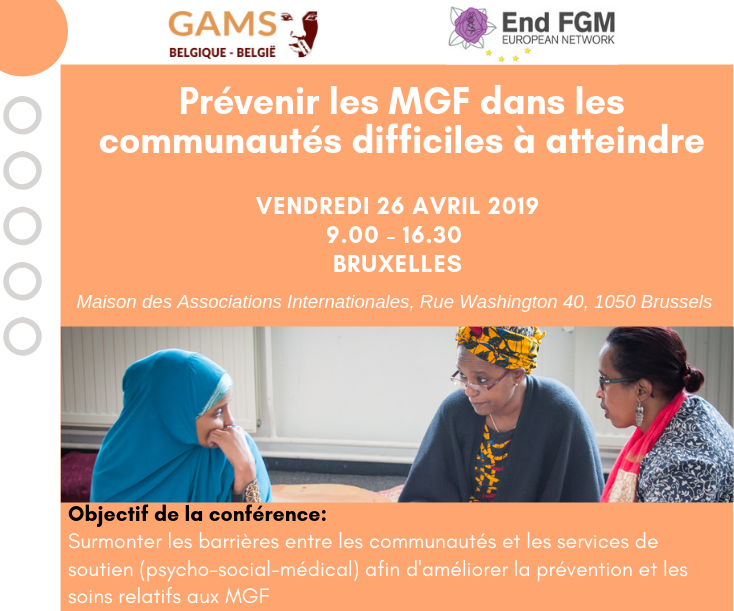 For many years now, our work against Female Genital Mutilation has been in the main focused on communities originated from sub-Saharan countries such as: Guinea, Somalia, Djibouti, Mali, etc. 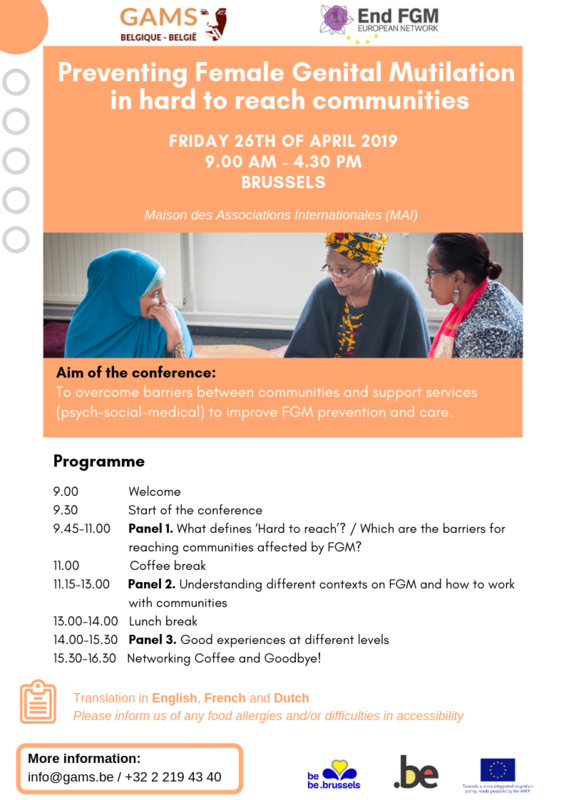 However, we are all aware of the existence of specific diasporas living in Europe and originating from other countries also affected by FGM; for example in Egypt, Indonesia, Kurdistan (geographical and cultural region in Middle East). Working among and with communities is complex and can be challenging. Nevertheless, our work against FGM must be extended to all affected communities, in a true “Building Bridges” approach. 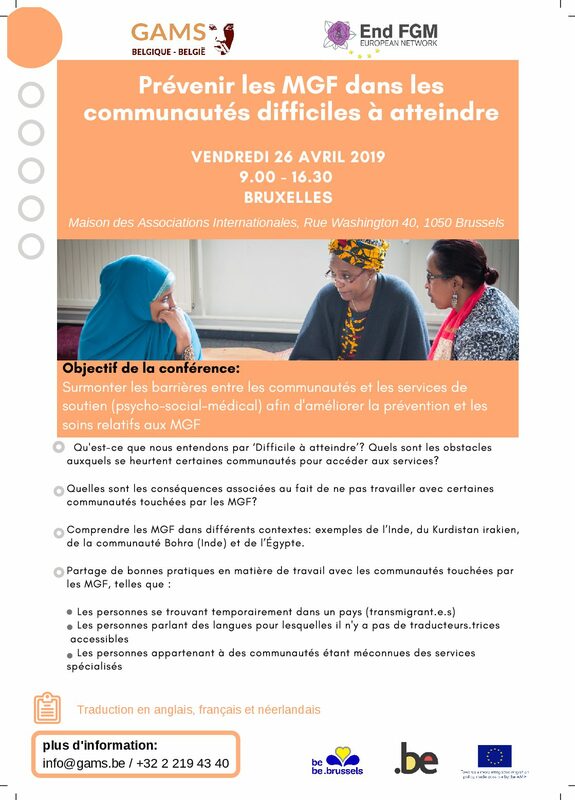 The goal of the conference is to gain a better insight into the barriers that may exist between some diasporas, care and support services. We will start by describing these barriers and formulating an answer to the question “what factors make some diaspora communities ‘hard to reach’?”. The conference will look at these issues from the perspectives of both diasporas and organizations. The discussion will subsequently be followed by the sharing of ‘good practices’ and concrete tools for implementing an outreach approach. 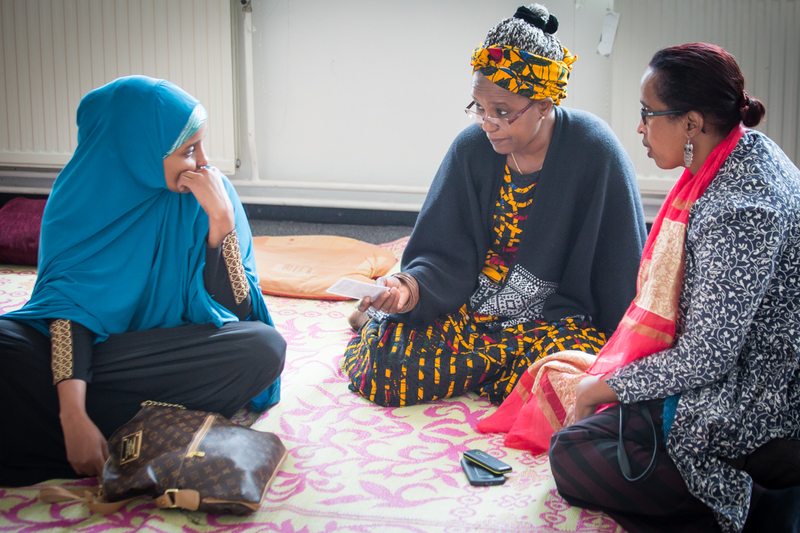 Which are the barriers for reaching communities affected by FGM? 15.30-16.30 Networking Coffee and Goodbye! Translation in English, French and Dutch. No Replies to "Preventing Female Genital Mutilation in hard to reach communities"